Welcome to our Website ••• Our Luxury Cornish Beach Houses have spectacular views across Whitsand Bay and towards the beautiful Rame Peninsula. Located on the south coast of Cornwall, (an easy 4 hour drive from London ) ••• Our Luxury Beach Houses are only 30 meters from the water's edge ••• Close enough to feel the sea spray from your Cedar Hot Tub. Both Beach Houses have been designed with the concept of total luxury in mind. Buddha Beach House The large Beach House, sleeps up to 10, the smaller On The Rocks Beach House sleeps up to 7. Whether you are looking for a romantic Luxury Beach Cottage for 2, or a Luxury Beach Rental for a larger gathering, our Beachfront houses have to be the Ultimate Coastal Holiday Homes. 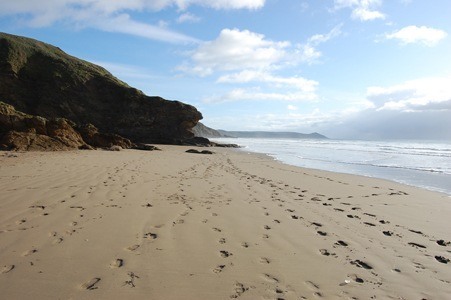 The Area ••• This often forgotten corner of Cornwall is hidden away from the crowds and the traffic, and you will be assured of a perfectly relaxing and rejuvenating stay in our Cornish Beach Houses. History ••• The site was once the beachfront cellars for fishermen to store their pilchards, mackerel and lobster; These Luxury Beach Houses, have retained all the character from their previous lives, but now offer an Amazing Blissful luxurious Beach Retreat . 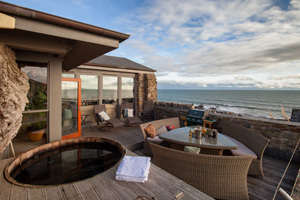 Nestled behind the 17th century stone walls, which form part of the Beach Houses, lies a houses of extraordinary comfort. Luxurious contemporary interiors juxtapose with original 17th century stone walls and beams. The open-plan Beach Houses epitomise laid-back coastal living. 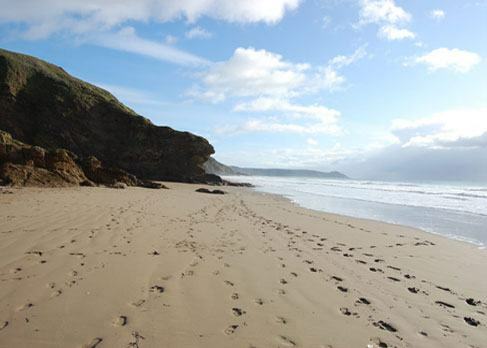 With an abundance of floor to ceiling windows and a perfect beachfront position, our Cornish self catering Beach Houses have spectacular sea views towards Whitsand Bays' 3 mile stretch of pristine golden sand ; And beyond ... The Rame Peninsula. 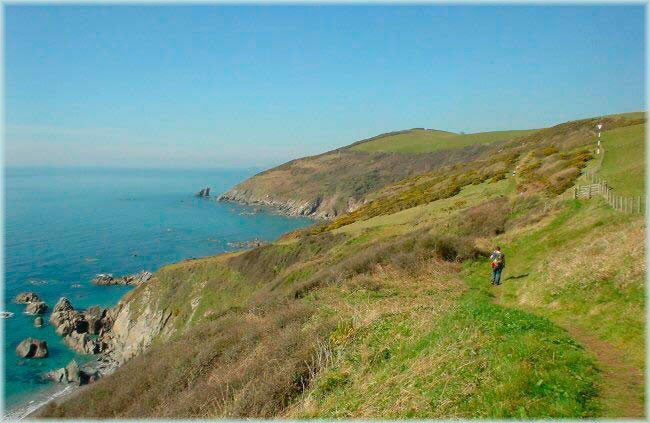 Cast your gaze in the other direction and follow the rugged south west coastal path to Looe Island. The infinite sea and sky views from the wooden deck and steaming hot tub will enchant you, and weave a magical sea side spell • • • • • • • • Drift into a deep sleep with only the sound of the waves crashing on the shore below the Beach House to disturb your dreams. Well rested... What could be better than waking to a sea view from a sumptuous bed in our luxury self catering home. Grab an aromatic coffee, and watch from the wrap around windows ; dolphins frolicking, surfers riding the waves, Eddistones Lighthouse ( in the very hazy distance) and battleships on manoeuvres from Plymouth. Concierge at The Beach House ••• Your time, particularly whilst on holiday is hugely valuable. With this thought in mind we have a team of local "angels" to ensure that every minute of your holiday in our Beach House in Cornwall is spent doing what you enjoy most. They will be happy to help arrange any of the following listed below. If you have any other desires (that we would be able/allowed to help with) please let us know. Chef ••• Two different chefs, both experienced at providing excellent and delicious meals can be booked for a special celebratory meal or asked to provide particular mouth watering and nutritionally balanced meals for the 1ridge/ freezer. Spa Days ••• We have three qualified, insured beauticians, masseuses; all can be booked in advance. Blissful hours can be spent, perhaps after a steam shower or whirlpool bath in our Beach House bathrooms, being pummelled and pampered to your heart's desire. Luxury Hamper ••• Let us know what you want; local sparkling wine, home baked cakes, scones, chocolates a bouquet... we will endeavour to please. Yoga and Pilates ••• Our team at the Cornish Beach House are happy to arrange retreat days with qualified yoga or Pilates instructors, perhaps with a few spa treatments thrown in.... Must be booked in advance. Groceries ••• Can be ordered from Waitrose, Sainsbury and Tescos. Also an excellent local wet fish monger, traditional butcher, florist and local caught lobster (when available). All can be delivered to our luxury self catering property and unpacked , awaiting your arrival. Golf ••• Our local golf course, is less than 3 minutes walk away from our Luxury Self Catering Beach House. A stunningly situated golf course is set alongside the rolling Cornish sea. ..... Tee off to the sound of crashing waves... marvel at the miles and miles of wonderful deserted beaches from the lush greens, admire, from the 18th hole, the view towards our Cornish Beach House and dream of tea on the terrace or glass of Cornish sparkling wine in the hot tub, star gazing. 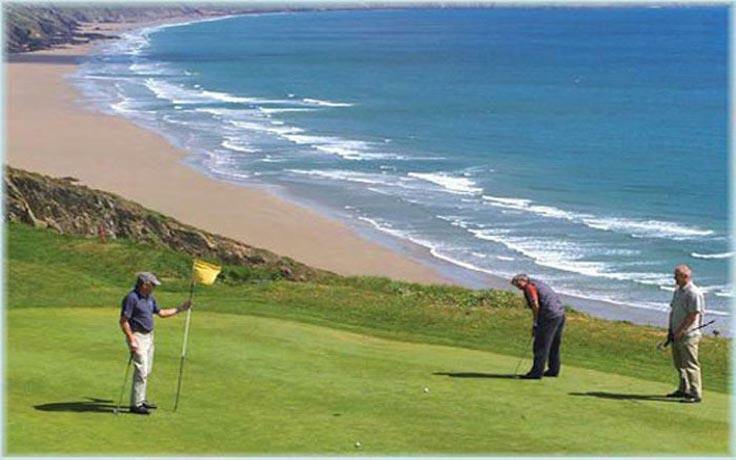 •	Other Cornish golf courses to try are Carolyn Bay, Trevose Golf Club, St Enodoc, Lanhydrock. Eating Out ••• The View is a cliff top restaurant , where quite literally the view and food compete for first place on your visit, serving mostly seafood. Highly recommended by BBC Countryfile, The Times and The Observer The menu is full of fresh locally sourced produce and includes meat and vegetarian options. •	The Finnygook Inn Our neighbourhood pub, is famed for its friendly atmosphere and its succulent locally caught lobster. It is open for lunch and dinner throughout the week. •	The Blue Plate in Downderry is perfect for a special or romantic meal , the extensive menu has a great selection of locally sourced food..
•	Carew Arms , lovely atmospheric local pub, excellent traditional food. 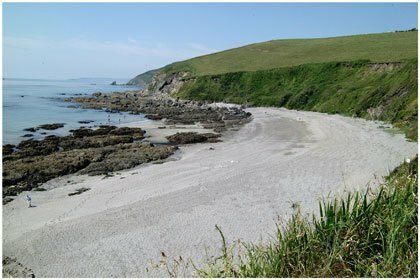 •	The quintessential Cornish villages of Kingsand and Cawsand , situated just beyond Rame Head, can be reached via the SW coastal path in the direction of Plymouth. Perfect for traditional pub food or a well earned drink at The Half Way House or The Devonport. Exploration ••• Our luxury self catering beach house is situated just behind the harbour of a 17th century fishing village, near Looe on the south coast of Cornwall. A perfect base to explore all that Cornwall has to offer although most guests, once ensconced in our sea front home are reluctant to leave. Beauty and Inspiration ••• The mild Cornish micro climate offers garden lovers a plethora of sensory delights. A short drive for our luxury beach house the following can be found. •	Lost Gardens of Heligan Uncovered 25 years ago from decades of neglect, 200 acre garden , hailed by The Times as the garden restoration of the century Our personal favourite, particularly the sleeping giant hidden amount dense vegetation. • The Eden Project, famous for the giant biomes, the world's largest greenhouse full of amazing plants from around the world. Die Another Day was filmed here, James Bond swinging, Tarzan like through the steamy vines, is etched in my memory! •	Antony House superb 25 acre landscaped gardens include a formal courtyard, terraces, ornamental Japanese pond, fine summer borders, sculptures and knot garden. •	Caerhayes Castle and Gardens, Best time to visit is March and April when the stunning Asiatic magnolias are a site to behold. • Cothele House was built in medieval times; however the current house is mostly Tudor. The gardens have 12 distinct areas for you to explore, A peaceful walk with pixie doors to enchant, leads the way along the Morden stream from Cotehele Quay takes you to the nineteenth-century Mill. Art Galleries ••• Cornwall is famous for its art and craft, from the wonderful Tate at St Ives, Barbara Hepworth Museum and Sculpture park, the eclectic mix of galleries to in Fowey to the smaller but no less interesting local galleries closer to our Cornish beach house; Thorn art studio within Mount Edgcumbe, and The Byre, Millbrook (close to Rame Head) are both highly recommended.